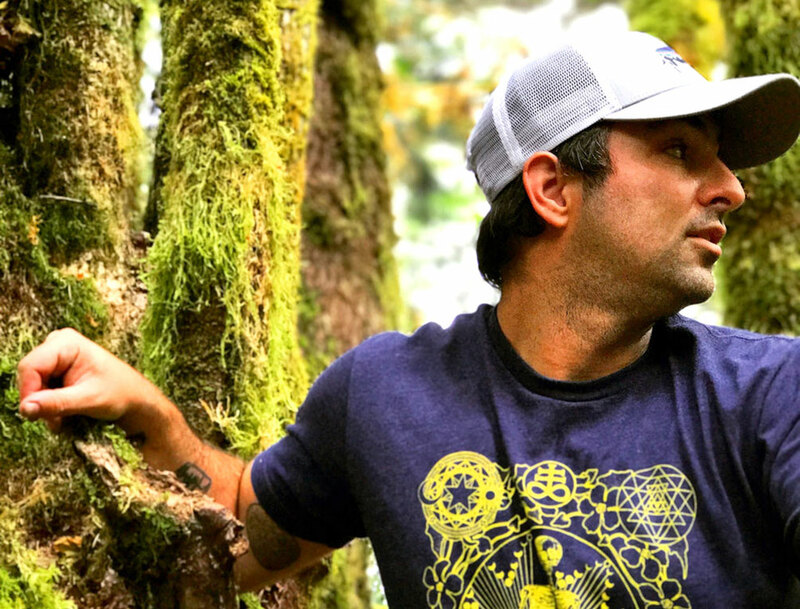 Prana Crafter is William Sol, a musical mystic who blends the raw energies of nature with guitars, synthesizers, singing bowls, and a dose of flow-consciousness. The resulting sonic nectar flows out from the amplifier, cascading in the mind of the listener, splashing mantras against the listener’s third ear. Some music is meant to entertain, to be consumed like flashing patterns on a TV screen. Not so with the music of Prana Crafter. This music is a sonic-tapestry of energies that are meant to envelop the listener and deliver a message that, as Sol puts it, cannot be known through symbol or through sign. Prana Crafter has released albums of kosmische flavored psych rock and acid folk on Beyond Beyond is Beyond, Eiderdown, Deep Water Acres, and Reverb Worship. Sunrise Ocean Bender and Cardinal Fuzz Records are proud to join in the journey with the psych-folk boon ‘Enter the Stream’. Likened to artists across the psychedelic and folk spectrums—Neil Young, Popul Vuh, Agitation Free, Träd, Gräs & Stenar, Ben Chasny, Elliot Smith—Sol’s self-professed mentors-in-spirit Jerry Garcia, Jimi Hendrix, and Manuel Göttsching are present as well in familiar and surprising ways. In review it has been said that Prana Crafter’s music is “an example of psych-folk at its finest” (Raven Sings the Blues), “like a long lost pressing from the early 70s, it’s a mist shrouded mysterious meditation” (Shindig Magazine), and even that, “few other musicians are making music as ambitious and genuine as Prana Crafter” (The Active Listener). Sol has said he thinks of himself as a conduit for the music and ‘Enter the Stream’ once again proves it. At times highly personal and gently psychedelic, the album always wears its kosmic heart on its sleeve. ‘Enter the Stream’ is an album in the way that so many albums these days are not. Not a collection of singles, not tailor-made for an audience. This is a carefully flowing composition blooming into a kosmische-acid-folk opus. From start to finish, ‘Enter the Stream’ is a journey that takes the listener through a landscape of pristine natural beauty, human emotion, and esoteric undercurrents.